The Thunder Basin monitoring station began operations in 1999. This station was one of the first State-run monitoring locations in the State. 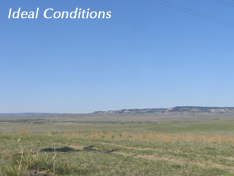 The monitoring objective of the Thunder Basin station is to monitor background air quality and meteorological data. This monitoring station is part of the IMPROVE Visibility Network.